So, what were the lessons I brought home? What we heard over and over again, from city to city, is that cycling is part of a lifestyle choice. It is not just about deciding to cycle because of the benefits of the pursuit – health, economic, environmental – but how cycling as a mode of transport can help build a vibrant environment for people to live their lives in. 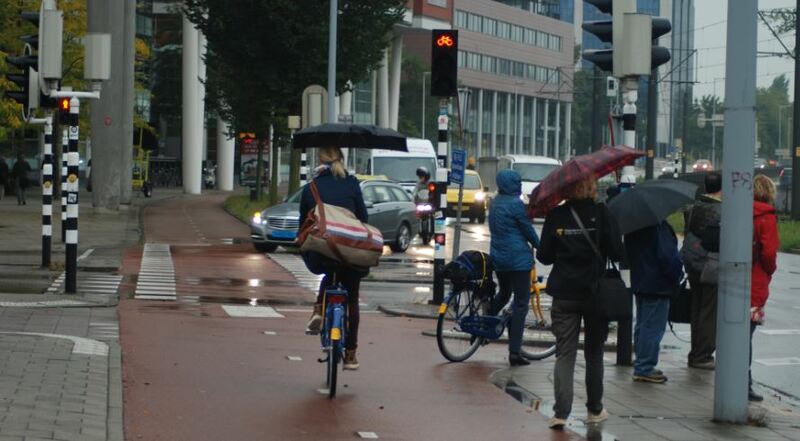 The Dutch are not anti-car – not at all, in fact. It’s just that they believe that motorised transport is not always the best option, and that methods of transport should fit the journey, and critically, should fit with the lives of people. 30 – 40% of the journeys under 7 km in all of the cities we visited were made by bike. In the Netherlands, the goal is to have living environments where children are always safe – safe enough to run out the front door to play with friends and safe enough to cycle to school at a young age. The absolute need for political buy-in from officials who see the longer view and are willing to plan for it, trusting to communities to give them support in building environments people really want to live in. So can we apply the Dutch model to the Irish way of life? We already know that lots of people want to. All those who travel into our cities by bike to work each day, in spite of what are often very poor bike facilities tell us that. 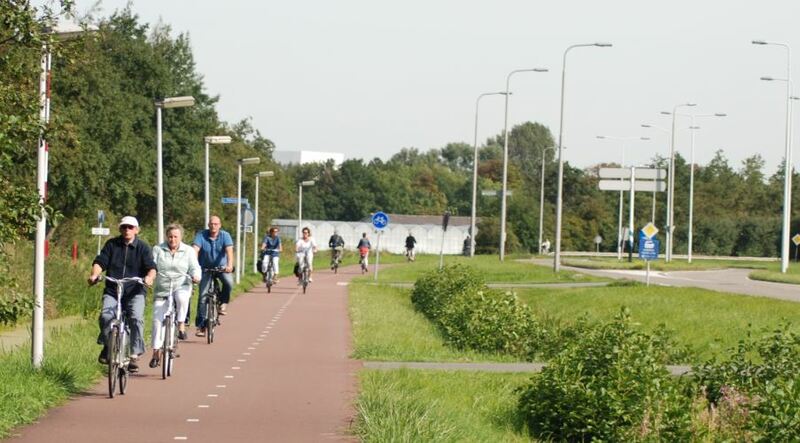 All those, who would cycle more, if the environment was more cycling friendly like that in the Netherlands tell us that. Children, who jump at any chance to get on a bike, but who don’t have a road structure to use that puts their safety and independence first, despite conference after conference telling us how this generation could be the first to live shorter lives than their parents due to inactivity, they tell us that. Getting this message across is not easy, but thanks to Cian and André Pettinga with this study group, like-minded individuals came together and got to see how cycling-friendly environments can benefit everyone. Hopefully, going forward, this group will work together to forward ideas and support each other, because, with certainty, together we will be stronger. On a personal note, I have never felt as relaxed and happy cycling. Even when we were caught in some extreme weather and I was ringing out my clothes and wishing I had windscreen wipers on my glasses, I felt secure and unthreatened and happy to be out on the bike. It was just marvellous to get that sense of what things could be like here. Barbara….as another participant on that trip, I fully endorse your comments and this really well put and cogent article! Brilliant! Great article Barbara. Its a Manifesto for a decent and livable city and we should vote only for those who endorse it. Well done Cian and others (?) for organising this. It is only by showing what is possible that our politicians and others will be inspired to push for proper cycling facilities. It was so depressing a few years back to hear the guffaws in the Dail when the Bike to Work scheme was announced. Hopefully initiatives like this will open minds and lead to much needed improvements. Keep up the good work.